Seeing job vacancies in Russia in social media? or working invitation from a friend or relatives that are already working in Russia? Be careful. The Philippine embassy in Russia has warned Filipinos not to be a victim of alleged job hiring for domestic helpers in Russia because there is not visa category for the said job. 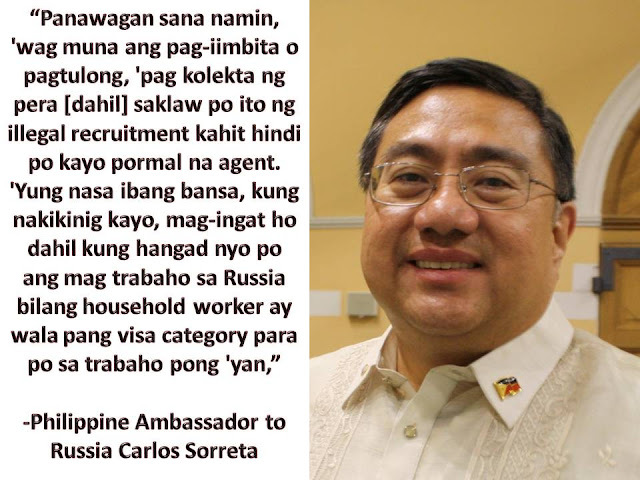 There are more than 5,000 Filipinos who are living and working in the household service sector in Russia. 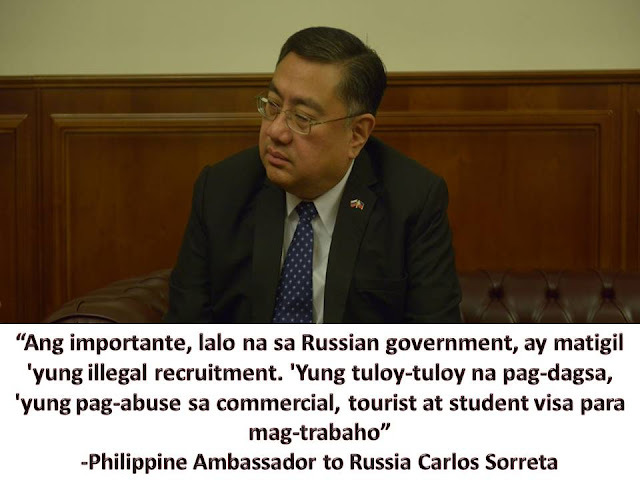 Despite the lack of visa category in the said job, there are Filipinos who invite their relatives or fellow Filipinos to try their luck in Russia. Most of them are from Hong Kong. Because of much desire to go to Russia, many of them are unaware that they are already a victim of illegal recruitment. There are also report about Filipinos being caught in the said country. 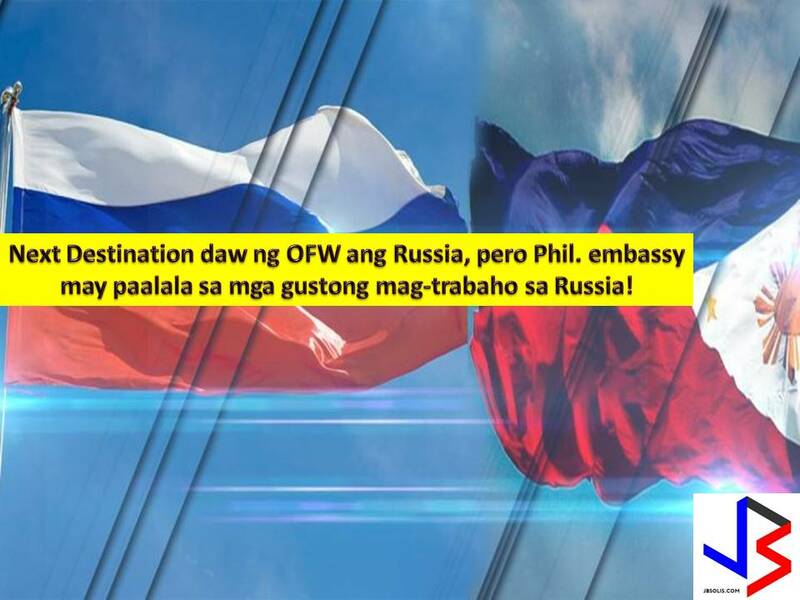 As of now, the Philippine embassy is coordinating in Russian authorities to stop illegal entry of Filipinos to Russia to work as domestic helpers. Just last week, together with embassy staff, around 20 Filipinos return to the Philippines from Russia due to lack of pertaining documents. The following are POEA approved jobs to Russia as fo from May 2017 to June 2017.